Growing kids have big appetites; and if they’re playing a lot of sport it can sometimes feel like you’re feeding an army! There are two factors at play when it comes to feeding active children. 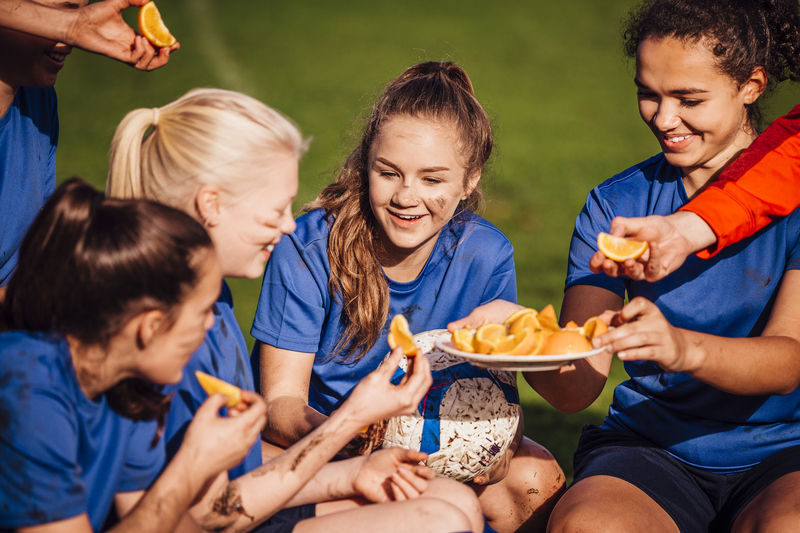 You’re fueling the standard growth and development of a young person, while also meeting the nutritional demands1 of their involvement in sport. What should your active kids be eating? wholegrain and high fibre cereals and bread, rice, pasta and barley. Is it a sports day? If your child is heading into a particularly active day, give them some extra food to fuel their increased activity. Preparation can begin the night before with a high carbohydrate dinner, like spaghetti bolognaise or a chicken stir-fry. And it doesn’t hurt to have a dairy-based dessert like fruit and yoghurt afterwards. The morning of the activity, it’s essential that your child eats breakfast. If they don’t have long, try something nutritious but light, like a banana sandwich or cereal. If they have more than an hour, go for something with carbs and protein, like toast and eggs or baked beans.